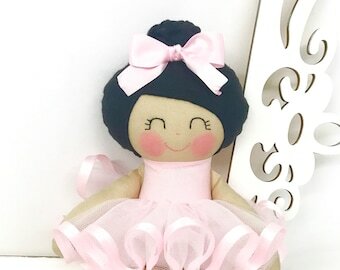 This pink dancing doll will inspire wonderful play times for a special little girl! 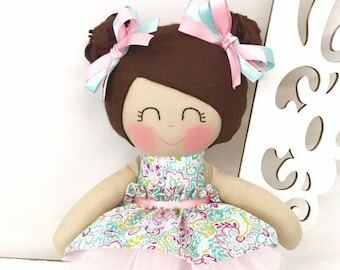 The doll's cute satin ribbon hair bow is sewn securely. Facial features are hand embroidered. 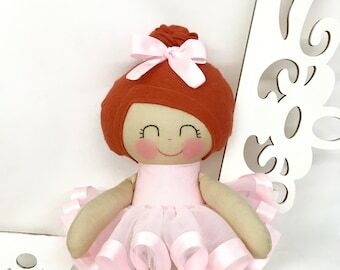 Her tutu is lined with pink satin ribbon and is removable with an elastic waistband. Pink wool felt ballerina shoes are sewn on so she never has to worry about losing them. Exactly what I expected! 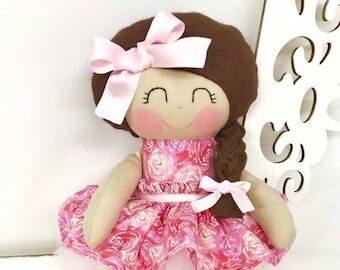 Adorable, beautifully made, and beloved by our daughter. 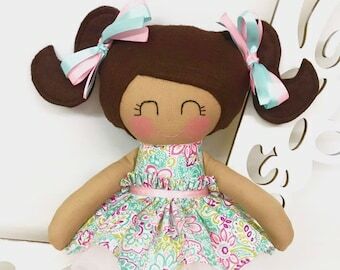 We love our Sew Many Pretties dolls. 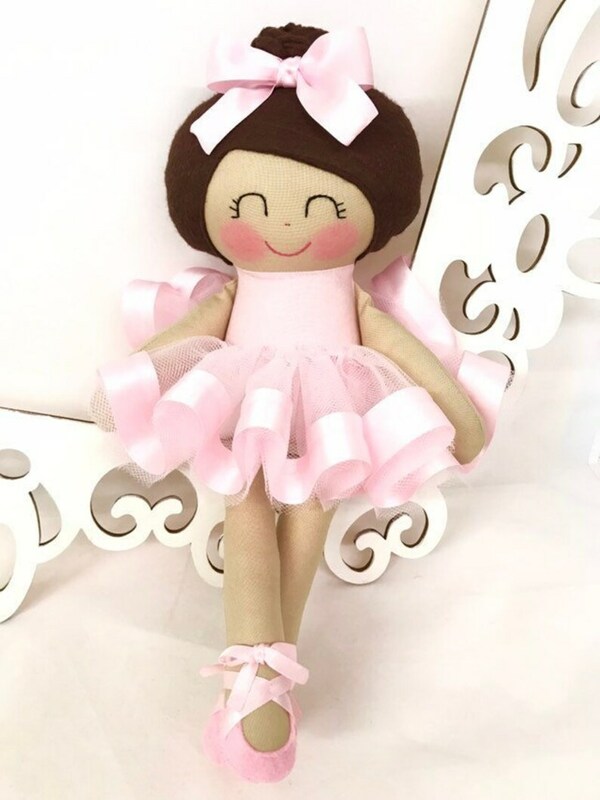 My granddaughter has just begun ballet, so I know this doll will be a favorite of the Christmas season. The seller was very accommodating to make it to my specifications. I love that the shoes and bow are attached, so they won't be lost. 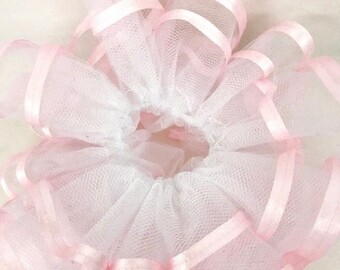 The foll arrived in a beautiful pink organza bag. I love this purchase, as will my 4 year old granddaughter. ADORABLE! 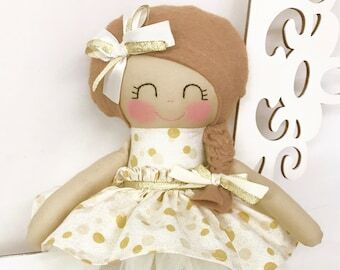 Made very well, fast shipping, beautiful doll! My daughter ❤️LOVED❤️this for her dance recital! Many thanks!